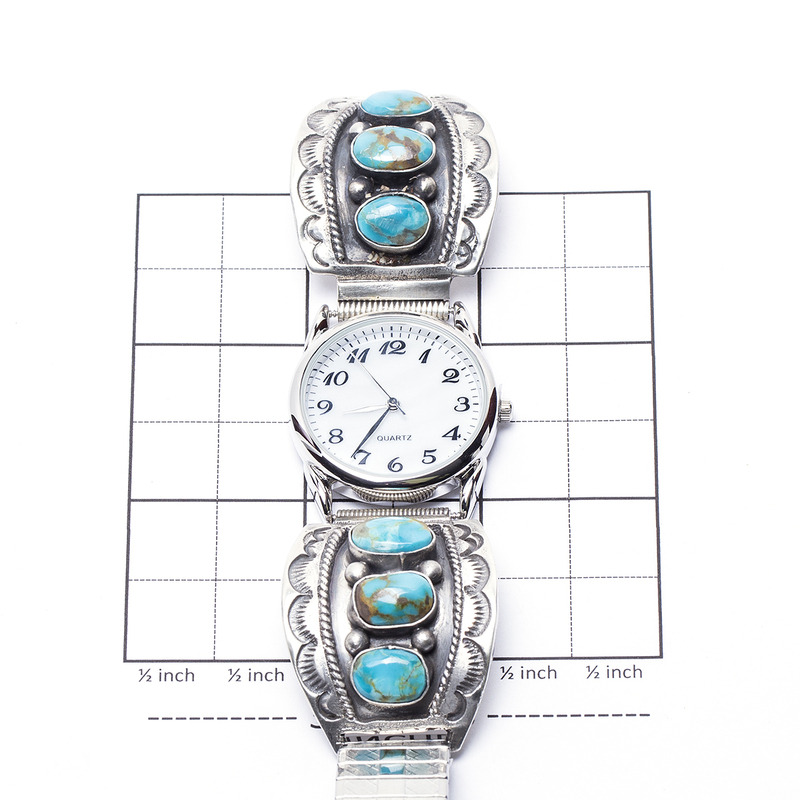 Displaying rich blue Turquoise with a coppery color matrix, this traditionally styled watch is the perfect way to show your love of the Southwest. 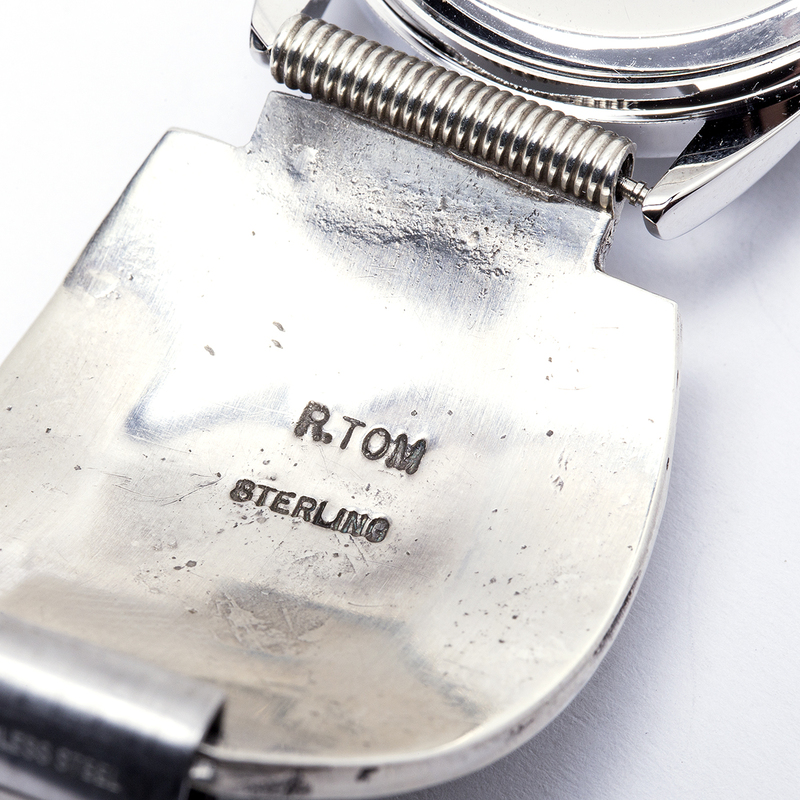 Handcrafted by skilled Navajo artist Randall Tom using classic stamping and rope details in softly brushed Sterling Silver for an old style look. Basic quartz battery watch is included. Tips are hallmarked “R. Tom” and “Sterling”. We offer free gift wrap! Just ask! 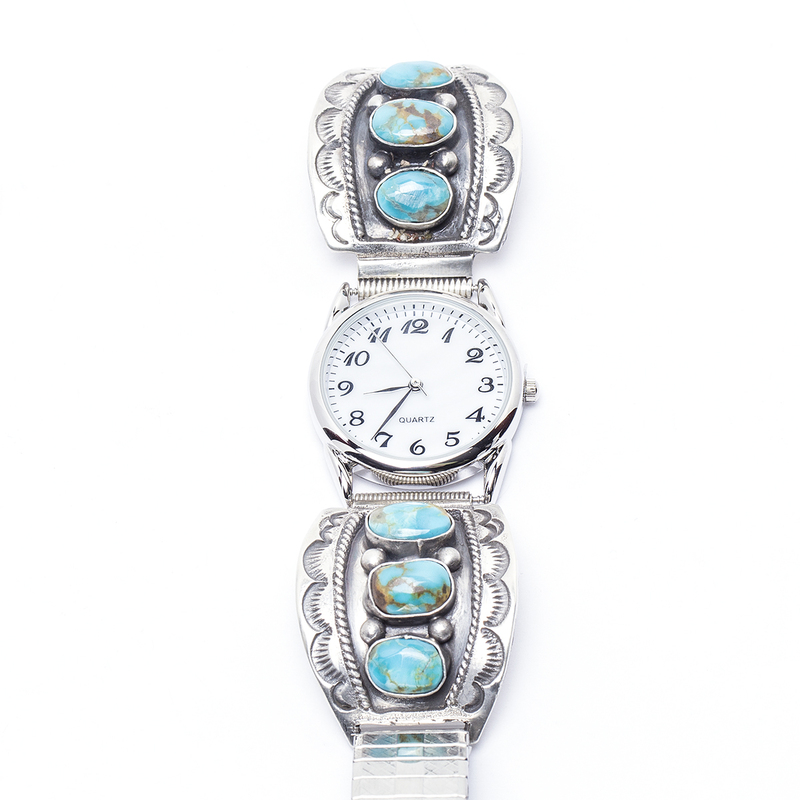 Navajo Randall Tom Turquoise Watch showcases rich blue Turquoise with genuine Sterling Silver. Handcrafted by Navajo artist Randall Tom.